Officials are revamping part of the nursing school’s flagship building, the third floor of the Innovation Hall on the Virginia Science and Technology Campus, to create a communal space for students. Officials are revamping part of the nursing school’s flagship building to create a communal space for online and graduate students. Renovations began this fall to upgrade the third floor of the Innovation Hall on the Virginia Science and Technology Campus, creating a hub for student resources and a new patient simulation lab. Officials said the work will create a common space for nursing students to gather – giving the isolated campus a greater sense of community. Pamela Jeffries, the dean of the School of Nursing, said the project was approved in June by the Board of Trustees and the renovations are slated to conclude in summer 2018. Jeffries said the Student Success Center will “bridge services” to the University Writing Center, career services and Disability Support Services, which are based on the Foggy Bottom Campus more than 30 miles away. “This investment in our students will hopefully lead to continuous improvement of retention, completion, employment and licensure outcomes,” she said in an email. Officials said they are still searching for a clear identity for the VSTC campus, while students have said the campus lacks a traditional community culture. Jeffries said the new additions could help promote student engagement for both online and graduate students. The project will also expand the current 10,000 square foot space for clinical simulation labs, creating a new simulation lab where students can practice conducting health assessments. Although the 303 online nursing students take their courses off campus in the nurse practitioner program, Jeffries said they are required to come to campus for academic testing three times throughout the course of the program. She said the lab expansion will give “new resources” to those students. The nursing school offers 16 online degree programs as of February, the second-most online programs of any school at the University, according to an October Faculty Senate report on online learning. The renovations will also include a new space to simulate patient care, providing nursing practitioner students with private exam rooms, acute care rooms and more advanced technology. Karen Dawn, an assistant professor of nursing, said the reconfigured space will offer a home to all VSTC students, not just students in the nursing school. She said the renovations will also allow for more simulation practice for students training to become health care professionals. 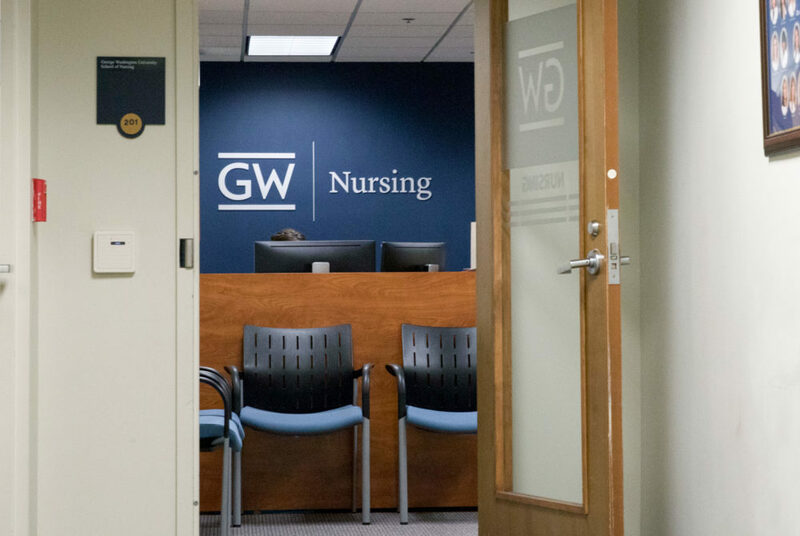 Nursing school experts said a physical space for online students could improve campus culture and provide students with more substantial academic resources. Nancy Tkacs, a professor of nursing at University of Southern California, said updating the simulation lab would be beneficial to online students because nursing is a hands-on profession, and students need lots of in-person practice to master the field. Tkacs said online students who live further away from campus should not be put at a disadvantage with respect to accessing services offered in the new center because they often need those resources just as much as students taking classes in person. Kathleen Becker, another professor of nursing at University of Southern California, said that especially for students taking classes online, where community-building is not always conventional and oftentimes difficult, having a common place to congregate and access academic amenities when they travel to campus is important for improving the student experience.